Watch NBC 4 Washington’s News story on how the $86 million Pineapple Fund offers money to anyone who plans to use it to help others and the story of one woman who took a chance and found it was true. Thank you to the Pineapple Fund for their record breaking one-time donation of $1 million worth of Bitcoins. 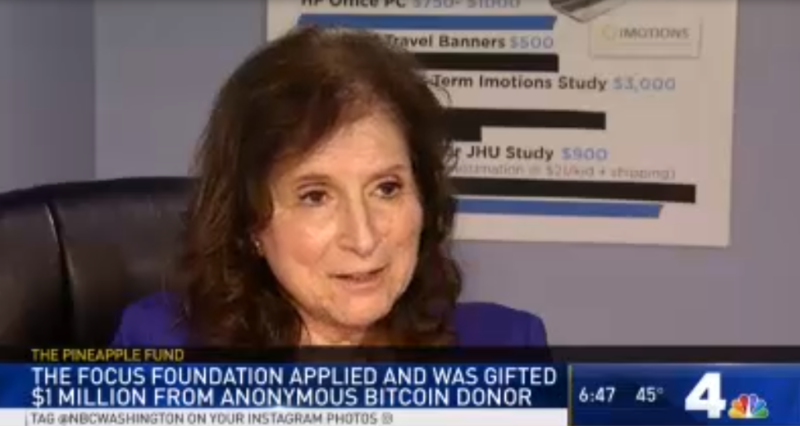 Since December, an anonymous donor has been giving away an $86 million fortune said to have been amassed through bitcoin investments to people doing good deeds, and a Maryland foundation working to help children with learning delays is one of the beneficiaries. Neurodevelopmentalist Dr. Carole Samango-Sprouse works with children with serious struggles with learning. She’s the executive director and chief science officer at The Focus Foundation, which researches and raises awareness about X and Y variations. “To have one extra X, which we call 47xxy, occurs in one in every 500 births, so it’s very, very common, but 75 percent of the children never get identified in their lifetime,” Sprouse said. Chromosome abnormalities can vary in severity. “The message delivered to me was that he would probably not walk or talk,” said Melissa Stratts, whose son Tyler has a variation. Tyler did learn to walk and talk, and his mom says research by Focus Foundation into chromosome variations is making a difference. Tara Spuhler McCabe, whose son Elliot also has the variation, said families are often given limited expectations for their children. “Dr. Sprouse has been great to keeping us looking forward,” she said. Sprouse said her work has led to medical interventions that can make a big difference as early as infancy. 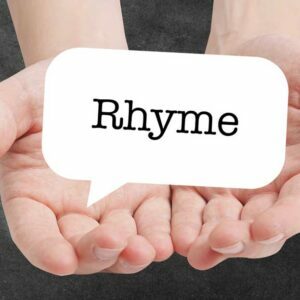 But while Focus Foundation has produced much of the research on this fairly common reason for learning delays, it exists mainly on small donations. Then someone in her office discovered the Pineapple Fund, launched by an individual identified only as Pine. “They saw the Pineapple Fund was going to donate $86 million to nonprofit foundations, and she contacted me and said, ‘We should do this,’” Sprouse said. They took a leap of faith and applied online, and in less than two weeks, they received an email.“We heard, the first Tuesday of the new year, from Pine, as the individual goes, that said, ‘We are happy to let you know that we are awarding you a million dollars,” Sprouse said. The money is already helping Focus reach families around the world. According to the Pineapple Fund, as of Tuesday $55,327,700 has been donated to 60 charities. Applications for the fund have closed.